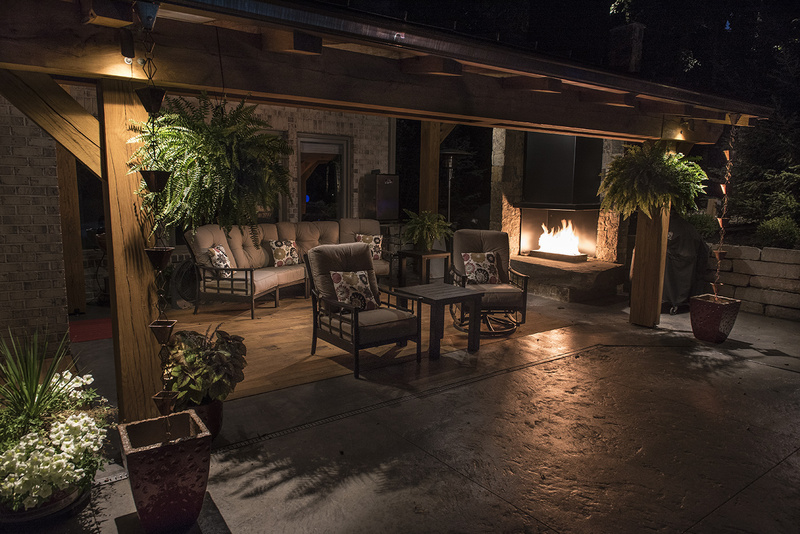 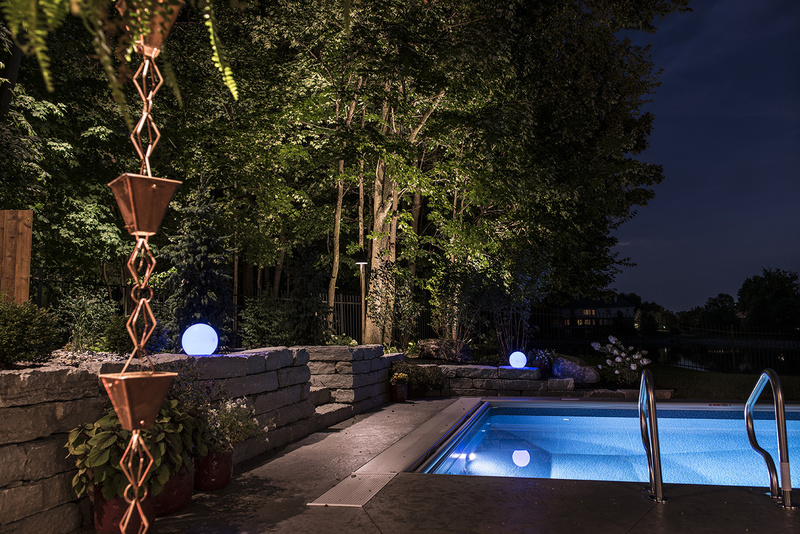 This project encompassed the front and back yards to show the elegance of the home and create a very usable space for friends to gather and enjoy the evening around the pool and fireplace. 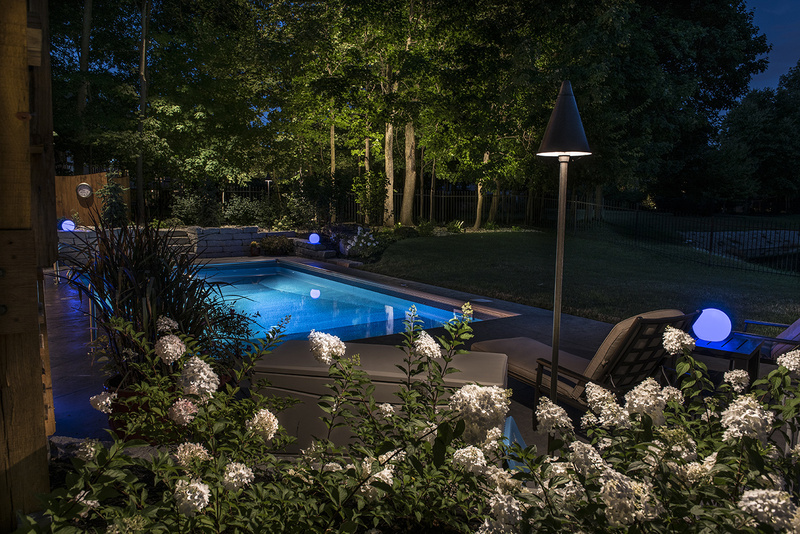 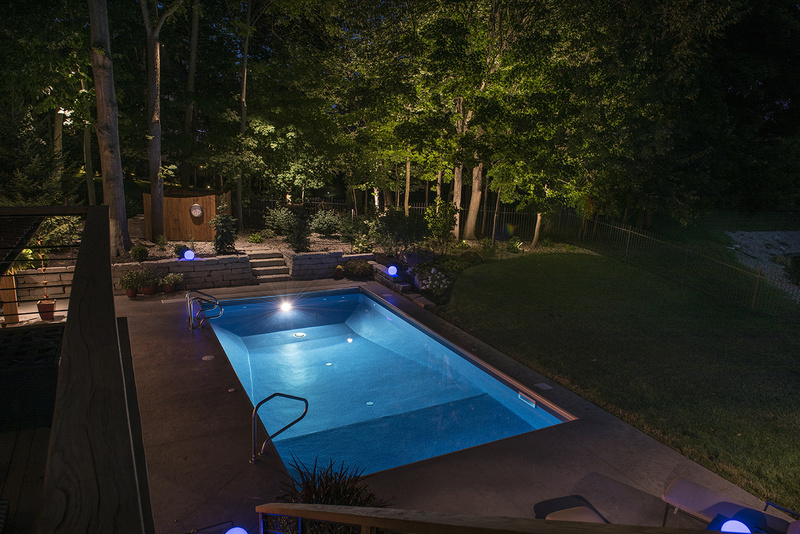 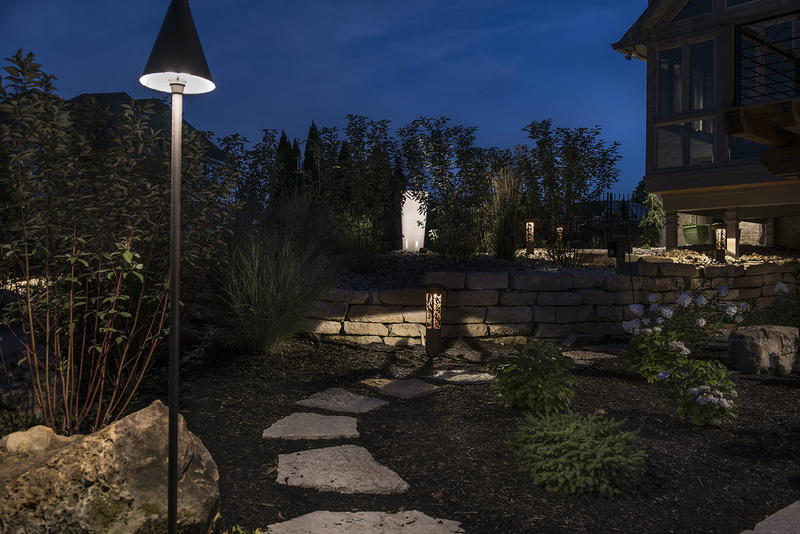 The back yard had been recently renovated, so making sure the space was lit well enough was important. 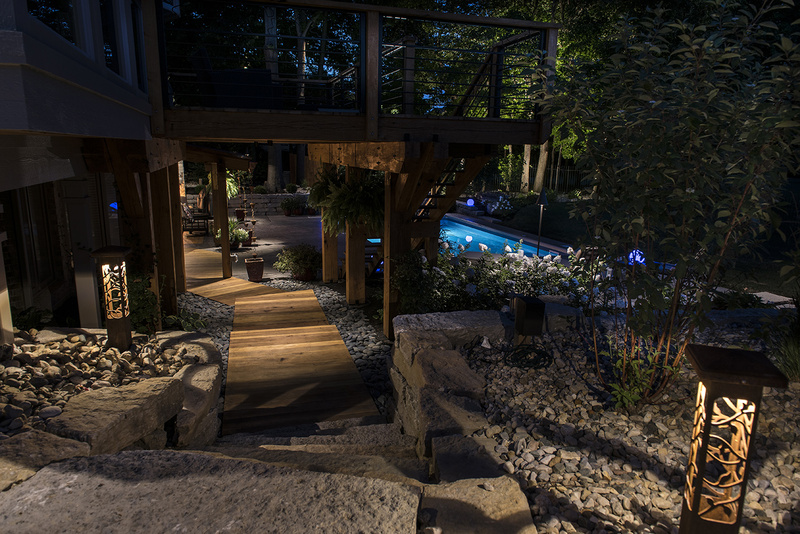 We used a combination of up and down lighting to illuminate the trees, steps and walkways. 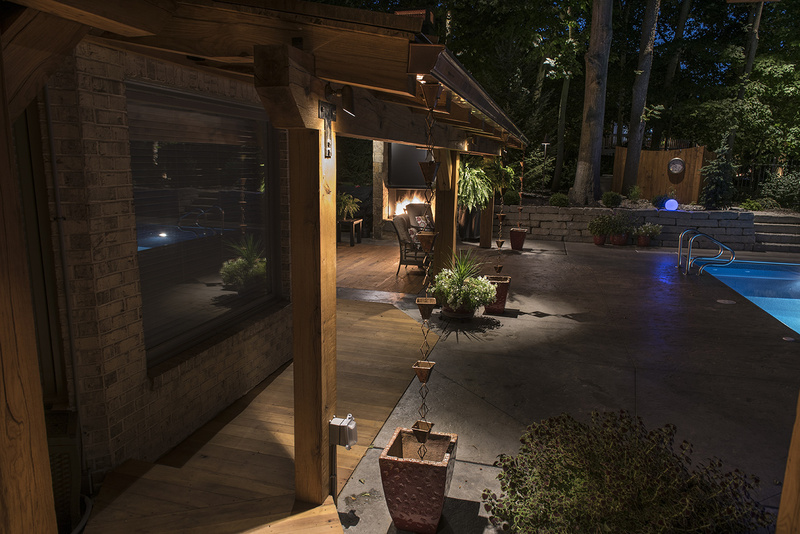 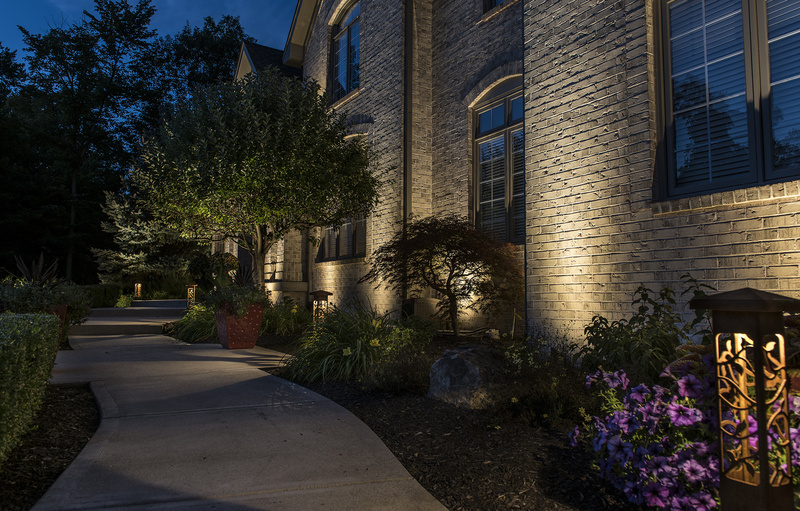 We also used some of our decorative steel lights on this project. 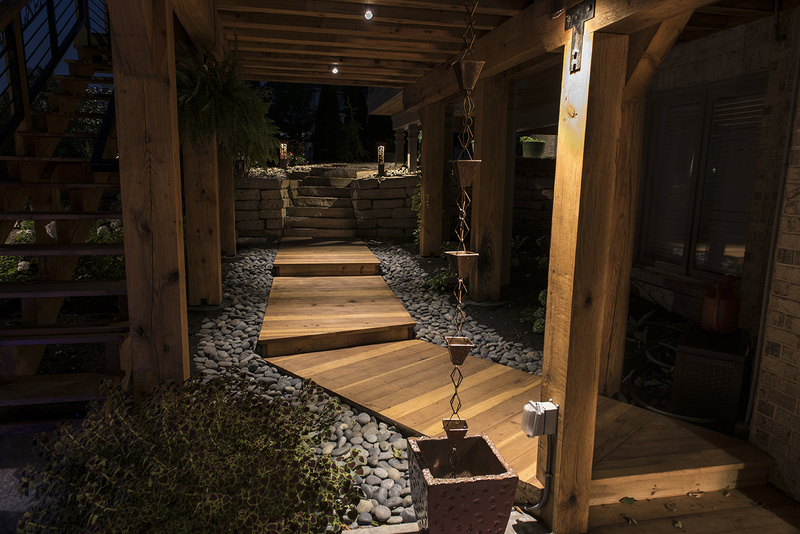 They are so beautiful and unique that friends and neighbors are always enchanted with the light and shadow interplay they reveal.